This started off as an experiment that proved fruitful indeed. 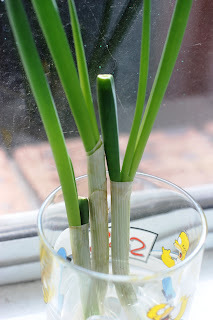 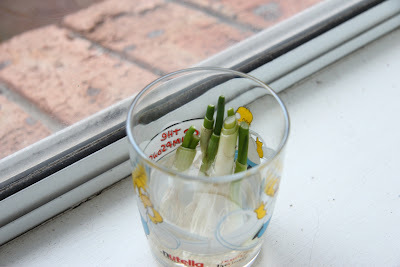 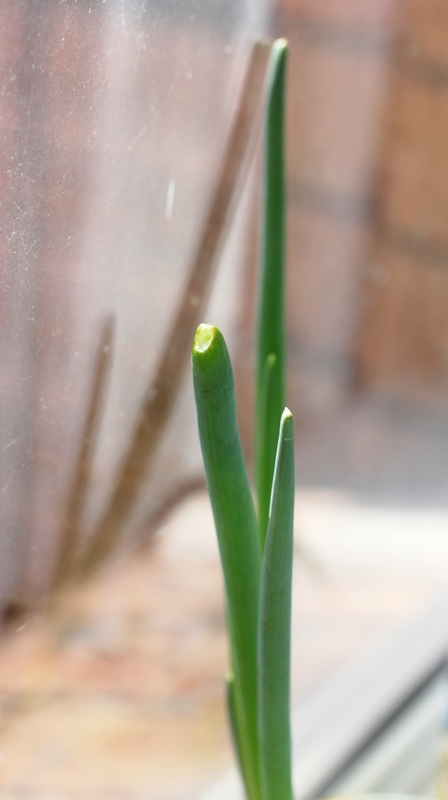 Hypothesis: Can you regrow shallots in a jar with water. Setup: Stubs of shallots cut a few inches from the roots. 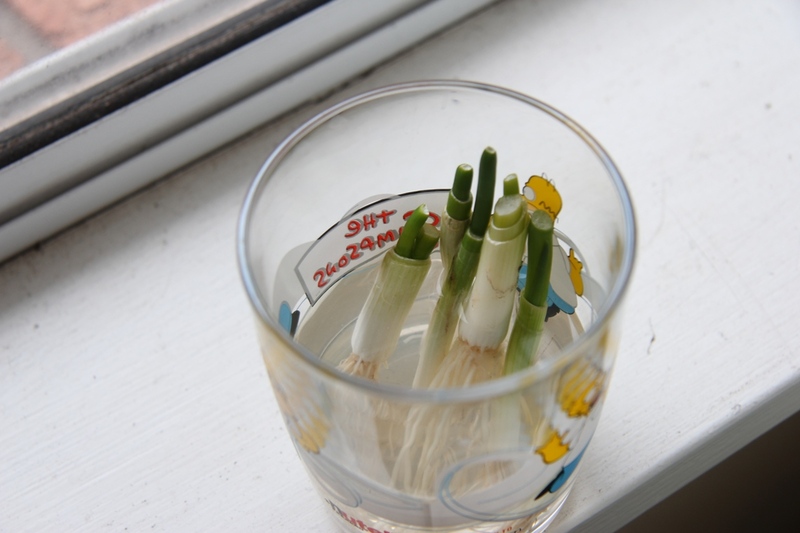 Place standing in a glass of water filled just above the roots. 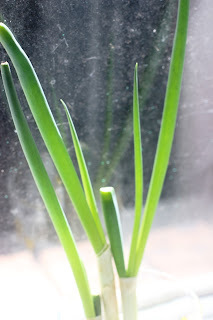 Sit on the window sill that gets sunlight. 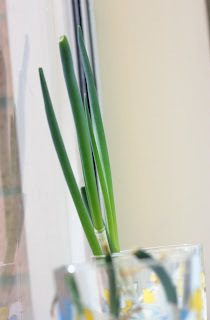 Maintenance: Regularly change the water to freshen it up.